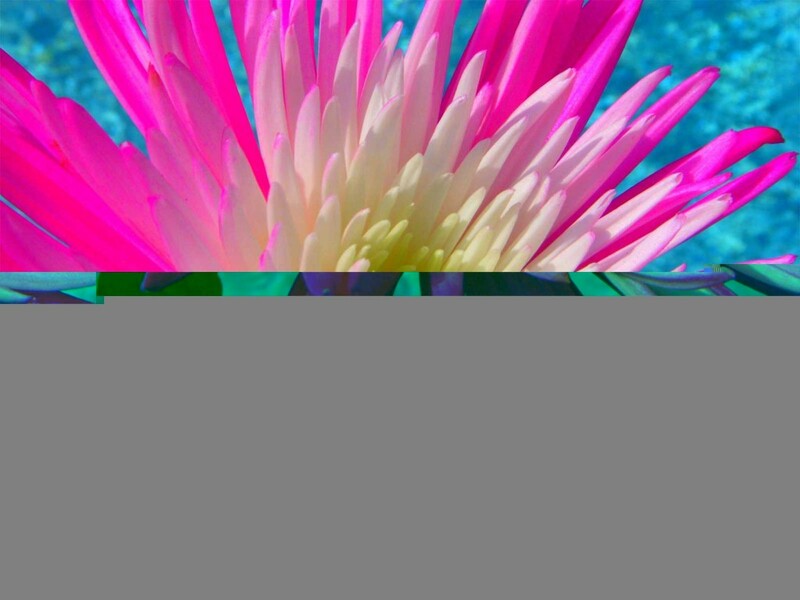 A pink and white chrysanthemum is backed by bright blue water on Hawaii’s island of Kauai. Chrysanthemum are not native to Hawaii, however you can frequently see them in and around Koi ponds and other landscaping. The Hawaiian word for “flower” is “pua,” which also means “to blossom.” This pretty pink pua is in full bloom and has a unique mix of colors. Overall, it just gives us one more reminder of how vibrant life is on the islands.